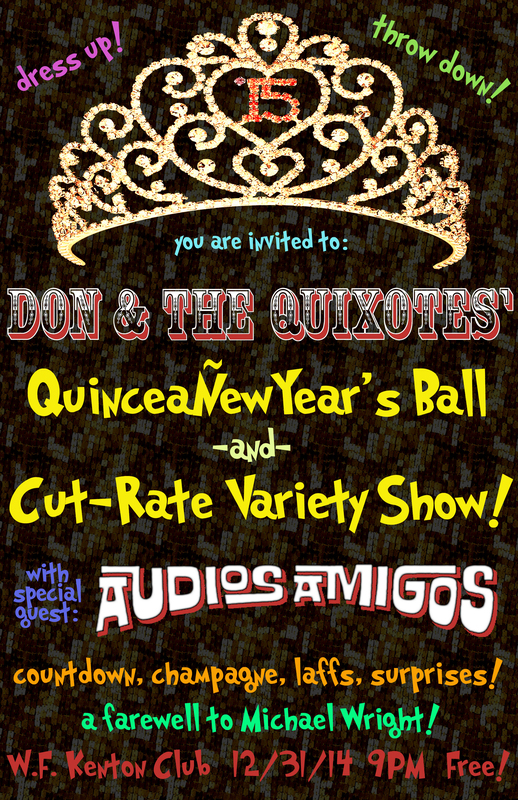 Don & The Quixotes’ QuinceaÑewYear’s Ball and Cut-Rate Variety Show! With Audios Amigos! Ring in 2015 with in style with Don and The Quixote boys! You don’t want to miss this non-stop thrill-ride surf-rock variety show complete with ball-drop countdown, champagne at midnight, a touching farewell to Michael Wright, special guests and of course some surprises. Legendary Portland stringburners Audios Amigos kick off the night. All for zero dollars. Dress up and throw down!